يقع فندق Ash Grove Boutique Motel في منطقة تتمتع بمعالم كثيرة، وتعتبر المكان الأنسب لاكتشاف هذه المدينة رائعة الجمال و ما يحيطها. يمكن من هنا للضيوف الاستمتاع بسهولة الوصول إلى كل ما تقدمه هذه المدينة النابضة بالحياة. يوجد العديد من المعالم السياحية الأكثر جذبًا للسياح في هذه المنطقة. يعمل Ash Grove Boutique Motel على ضمان إقامة مريحة لضيوفه من خلال خدماته الممتازة وحسن ضيافته. يمكن الاستمتاع بمجموعة من الخدمات على أعلى المستويات في الفندق كمثل واي فاي مجاني في جميع الغرف, واي فاي في المناطق العامة, صف السيارات, التوصيل من وإلى المطار, جولات. بالإضافة لهذا، تتضمن كل غرف الضيوف مجموعة واسعة من وسائل الراحة . بعض الغرف توفر حتى تلفزيون بشاشة مسطحة, اتصال لاسلكي بالإنترنت, غرف لغير المدخنين, تدفئة, شرفة/ تراس لإرضاء أكثر الضيوف تطلبًا. صممت خدمات الاستجمام في الفندق والتي تتضمن حمام سباحة خارجي, حديقة لمساعدتك على الاسترخاء والراحة. إن Ash Grove Boutique Motel هو خيارك لخدمة الفنادق الراقية في المدينة. 5 star hospitality is a gift that Bronwyn and Grange share with their guests from the time of their arrival to departure. From whats on in town, where to go and what can be seen to help about tours to the Cape and fishing trips seamlessly fitted into our conversations. I liked the cabins and the timeless grace of the verandahs and patios, pools and garden which enhanced a restful but fulfilling visit to the Bay of Islands. I went for 3 nights; and stayed for 6. A really lovely spot,one of the best appointed lodges we have stayed at in New Zealand. The proprietor and his wife could not have been more helpful and replaced sheets and towels frequently. A very nice pool with loungers unexpected for a small site. Overall we had a lovely stay and excellent value for money. Good barbecue washing machines and DVDs available. 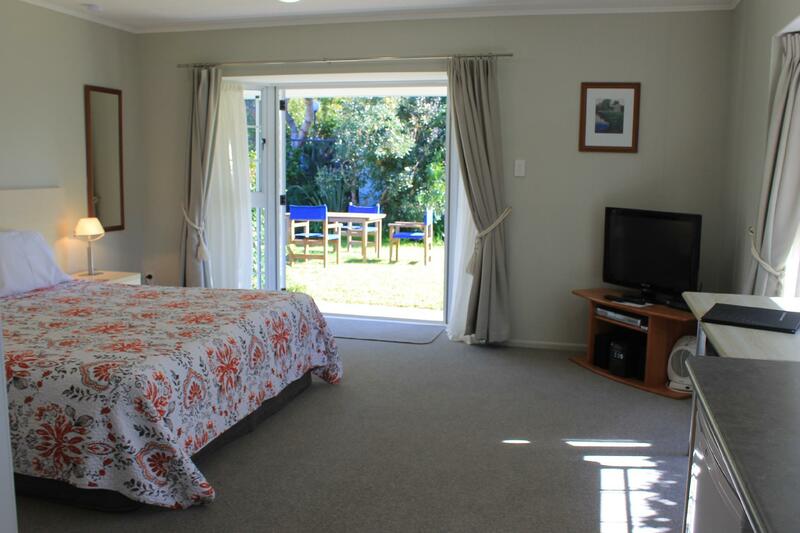 The unit was spacious and well furnished in a pleasant garden setting with outdoor furniture. Cooking facilities are good, but you are instructed not to cook anything that will leave cooking smells. Ash Grove is 10 minutes drive from central Paihia and there is nothing within walking distance so a car is essential. Do not presume to arrive earlier than 2pm as you will find reception locked and a note to come back at the correct time. I stayed here for 2 nights with my cousin and we completely enjoyed our stay. The staff were super nice (we got lost on the drive there and they were really concerned for us). The room was really cosy and very spacious. It was clean and the bathroom was modern and nice. The kitchenette in every room is also very convenient if you're travelling on a budget. The location is away from the centre of town so you have to drive in (if you're in a rush), but that wasn't really inconvenient for us. Overall it was a great experience. 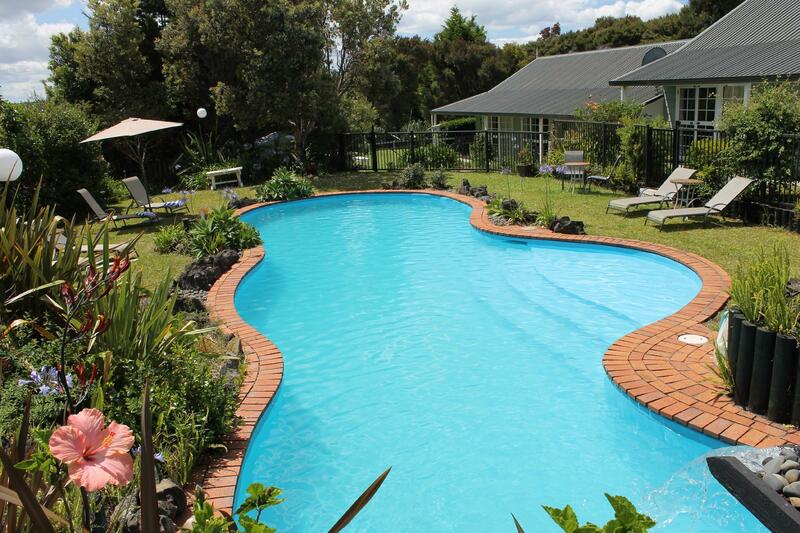 It's easily accessible to paihia city, just a 3-4mins drive. Room is big and comfortable and you have your own car park space in front of your room. It was great. The owners of the places were real friendly and they even allowed check-in even though I came I'm after the check in hours. The room is clean and big for 2. Pots and pan were also provided which means you can buy your groceries from the nearby supermarket and whip up a nice dish back at the motel instead of eating out. It is quiet at night and I felt safe during my stay. We chose this motel from reviews we had read and we were not disappointed. The room was a good size, had garden access (with a pool), free wi-fi, the necessary cooking facilities (which we didn't need to use but everything was there) and overall was extremely comfortable. The owners were very friendly and charming people. Highly recommended. motel was really clean, quiet and had everithing you need in it (self-catering). 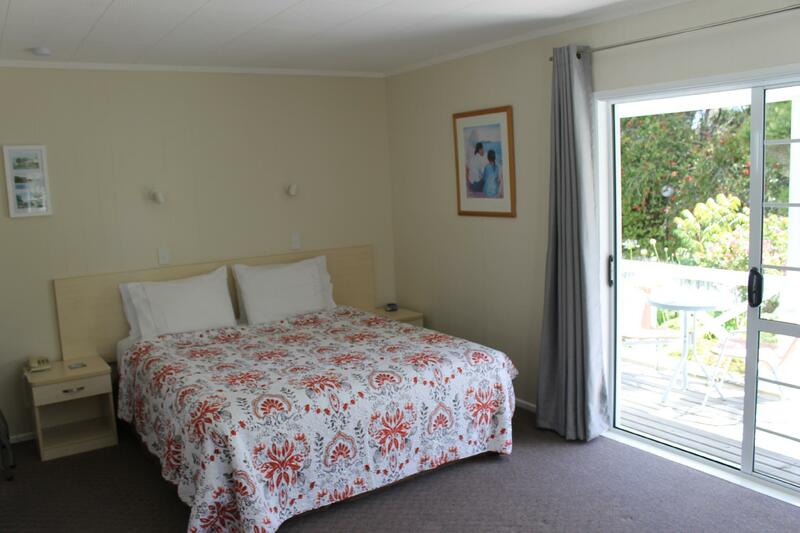 This motel offered exactly what we needed, a quiet place to relax and visit the surroundings. Has a very friendly staff and services were great. The staff at the hotel were so friendly and helpful, they went above and beyond the call of duty! The rooms were clean and comfortable and the setting was ideal. I would highly recommend the Ash Grove Boutique Motel. 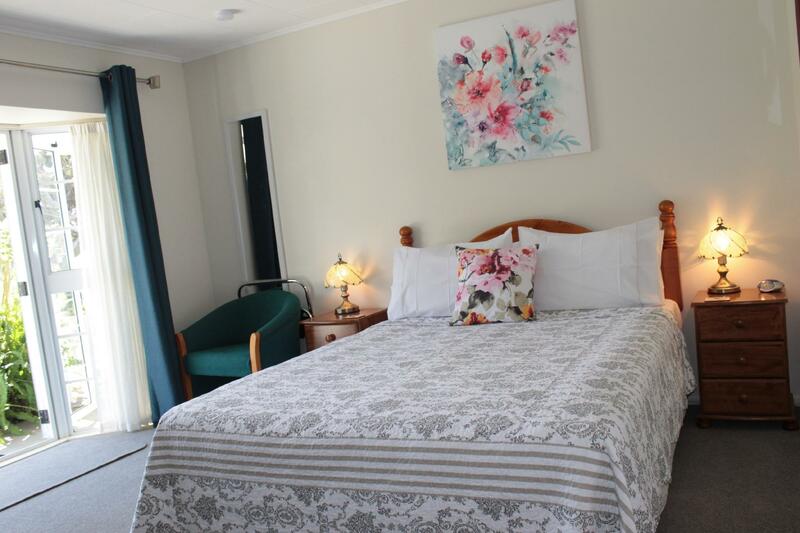 The setting is ideal, the rooms are spacious, clean and lovely and the staff is helpful and friendly! Great place to stay! Spotlessly clean. Everything in room you could want. Attention to detail second to none. Even lavender bag on bedpost! Mine host was very helpful and friendly. Garden and pool very well laid out. We stayed in the studio apartment No 1, which is a corner unit that has great access to the garden. The unit is bran new; linens and towels are of very good quality; the kitchen is well equipped. The studio is spacious and also has a small storage area where the ironing board and extra blankets are kept. For people who plan to stay for several days and want to cook themselves is this the ideal place to stay. The owners are very friendly and eager to give advice. The pool was beautifully set in the garden. The pictures on the website do not over promise. We highly recommend this place and would stay there again. 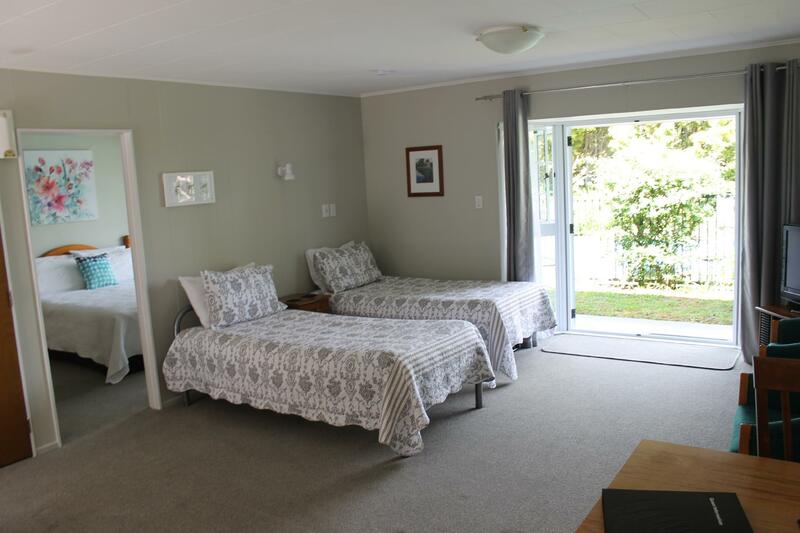 It's been our best accommodation in New Zealand. The motel is about 2 km from the next grocery store and a bit out of town. Good location, clean room, great service! We were greeted with homemade muffins. The rooms were very clean. The owners provided us with a baby cot that was already set up when we arrived in the hotel. The hotel is conveniently located near the haruru water falls. The internet wifi was very very fast. It was amazing! We would definitely recommend this hotel to our friends and family. Thank you ashgrove.